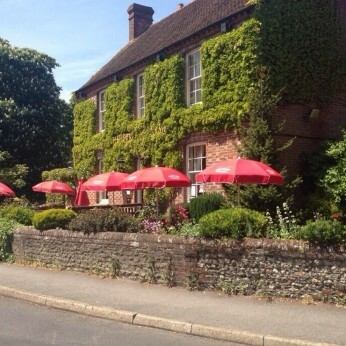 A great little pub in Bosham, just 5 minutes walk from the harbour with a lovely outside area. We serve great food, great beer & great entertainment. A delightful listed pub close to Bosham harbour, The Berkeley Arms sails off into the distance as the finest establishment in the area. Surrounded by some of southern England's finest countryside, it's a perfect setting in which to enjoy fine real ales and great food. A pub for all seasons, The Berkeley Arms offers the warmest of winter welcomes - thanks to a pair of real log fires guaranteed to warm the cockles of your heart. In summer though, it’s our lovely garden that takes centre stage. The village of Bosham holds its own little place in history, mentioned by name in the world-famous Bayeux Tapestry. The Bosham reference points to a 1064 meeting between Harold and Edward the Confessor, which took place in the village en route to meeting William of Normandy.